Currently, many options are available for pursuing overseas education in nursing. Online Diploma Nursing Courses are the talk of the town. Nursing Diploma Courses online are becoming more popular as they provide the flexibility and the convenience that students need. Though a busy work life and hectic schedule seem to determine the difficulty in earning a degree, students have realised the convenience and value of online education. 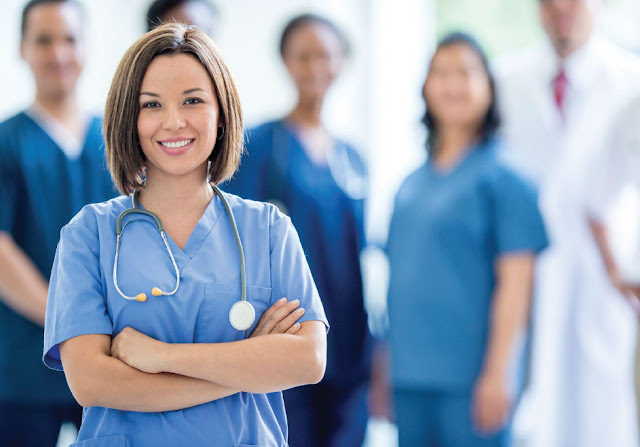 The number of students registering for nursing diploma courses in Australia is increasing day by day. The internet offers the ability to link people across the globe, enabling online students to avail the same opportunities as those who are able to attend the physical classroom. Connecting students through online learning also offers a chance to learn from educators around the world, which is not provided by the traditional classrooms. For those who have full work schedules, and also take care of family responsibilities, flexibility is crucial. Many nurses realise the benefits of online diploma nursing courses after joining the healthcare workforce. Online education makes it possible to earn a diploma despite a busy work schedule. In a traditional classroom environment, attendance and participation are mandatory. However, in e-learning programs like the online diploma nursing courses, these are not stringently enforced, helping the students with the added advantage of convenience and flexibility. Nursing professionals can make time for online learning during evening hours, or even fit in some homework or studies into a lunch hour or even in afternoon break. For students with children or other family responsibilities, online programs allow the convenience of planning class participation around an already-defined life schedule. Many programs also incorporate mobile technology into their learning platforms, creating an easy way to undertake learning on the go. Dedication: After choosing to earn a nursing degree, it’s important to make sure that adequate time is available to commit to studying. While online nursing programs are flexible, it takes dedication on the part of the student to truly excel in his or her studies. Discipline is necessary for online courses. Setting a class attendance schedule, as well as blocking time off for studying, is important to a student’s educational success. Students who are disciplined enough to set a real schedule for themselves will find the online learning process more effective and meaningful. Live chat rooms: Live chat rooms allow students to collaborate, whether on group projects or studying for exams. E-Learning resources: Many online classrooms have a resource page available which provides access to e-Learning tools that can simplify the online learning process. Online nursing faculty support: Instructors and faculty are only a click away with online classroom support. Meeting with instructors online is often much easier than in-person, as it allows flexibility with both parties. Are RN Nursing Programs Right for You?